We've started early this year and set up a convenient online registration form for Game Masters at Expo 2013. 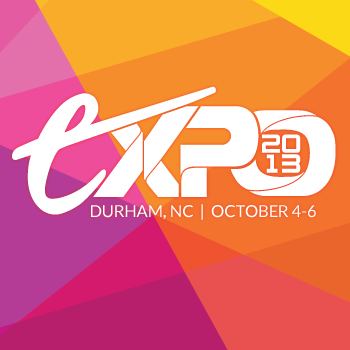 Pack up your Dungeon Master's Guide, grab your dice, and get ready to run some adventures at Expo 2013! We've set up early registration for Game Masters of all stripes for Expo 2013. If you're registered for Expo, just head here to register to run your very own tabletop game of choice. Whether you're a seasoned Game Master, looking to expand your play group, or a game designer hoping to show off your latest ruleset, we're pleased to be able to offer you the outlet for your ambitions at Expo 2013. Please keep in mind, however, that this registration is only for tabletop games. We welcome everyone from traditionalists running AD&D to DMs operating a custom system that you designed yourself. If you'd like to run a game at Expo 2013, you'll need to sign up for the Expo site, then sign up for your time slot here. Game Masters do not need to pre-purchase a pass to sign up for a time slot. If your game session is accepted, you'll also receive a code for a 1-Day Pass to Expo. For reference, you'll need to provide the Game System that you're planning to run, the number of players that you need, and some specific information about the module you'll be subjecting your players to. Additionally, if your system requires players of a specific skill level or requires a pre-made character or miniatures, you can opt for those. You'll need to choose whether you want to run your game on Friday, Saturday, or Sunday, bearing in mind that Expo will be closing down at 6pm on Sunday, October 6.